The ACIPN is a peer led, peer driven support network of first responders for first responders, whose volunteers are trained in best practices and deliver support in accordance with the ACIAC standards. This registration page is for ICISF-CISM trained peers who operate anywhere throughout Alberta and want to be part of this provincial network; who agree to put their name forth and conduct themselves in accordance with the ACIAC best practice, code of conduct and reporting structure. Privacy and confidentiality of personal information will be upheld and only administration will have access and will not be publically listed. 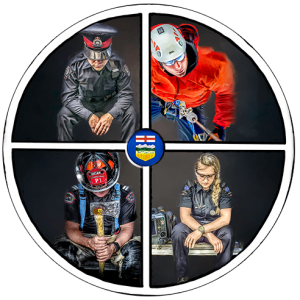 The ACIAC provides advice on the development, training, maintenance, and sustainability of a peer-support model specific to first responders in the province of Alberta. The ACIAC’s purpose is to provide consultation, education, resources, and support to Provincial first responder personnel and to develop, support, and advise on a provincial standard interagency approach to critical incident response. The Alberta Critical Incident Advisory Council is a not for profit society in Alberta. The society supports a peer led, peer driven, peer support program for public safety personnel. Public Safety Personnel include those that respond to Albertan’s to keep them safe and respond to emergencies and disasters. The psychological impact on these responders can have a large impact on their mental health. This peer support network is a best practice approach to supporting public safety personnel build psychological resistance and resilience to what they are exposed to in their work. Peers are the most effective front line provider to meet the unique needs of this important and valuable resource. Your contribution will ensure that our volunteer peers get the training and support they need to ensure their fellow public service personnel remain healthy and able to respond to those Albertan’s needs. 100% of funds raised will go to program delivery. The ACIAC is a board of volunteers and there is no operational overhead, only program delivery, support and ongoing training. Thank you for considering making a donation to support Alberta’s Public Safety Personnel, including all our first responders who risk their physical and psychological well being to protect and serve us all. The Alberta Critical Incident Advisory Board.